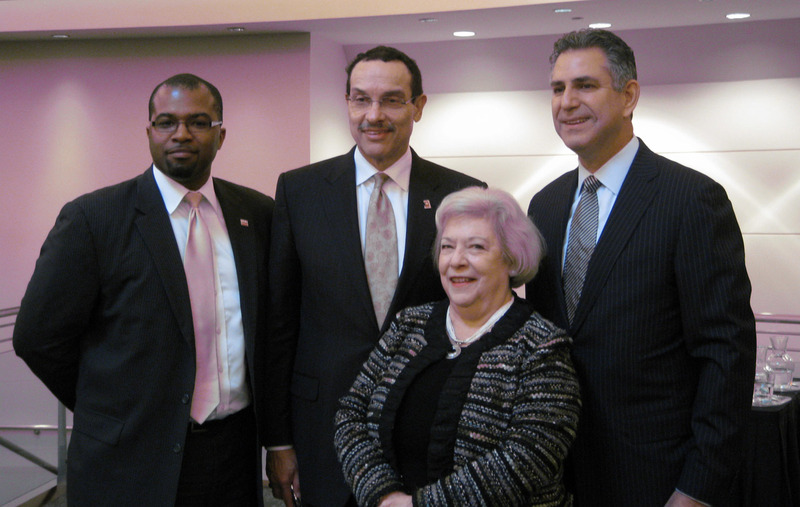 (L-R) DSLBD Director Harold Pettigrew, D.C. Mayor Vincent Gray, SBA Deputy Associate Administrator Luz Hopwell, and Under Secretary Francisco Sánchez at the ExportDC announcement. You hear a lot about the benefits of exports these days. Whether it’s exporting services like travel and tourism, or manufactured goods like cars or yarn, businesses around the country are supporting their communities’ economic recovery through market expansion. Exports have also become part of the national dialogue. President Obama touched on the National Export Initiative (NEI) in his recent State of the Union address. Commerce Secretary John Bryson highlighted the potential of international markets when laying out his vision for the Department in December. Personally, I have traveled across the country talking about the importance of selling U.S. products overseas, and showcasing export success stories to inspire new ones. I’ve seen a lot of great things happening at the local level. It’s where progress often begins. 9.2 million American jobs were supported by U.S. exports in 2010. With the obvious benefits of servicing foreign markets, it’s unfortunate that only one percent of American businesses export, and 58 percent of those only export to one market. That is why President Obama launched the NEI two years ago, with the goal of doubling U.S. exports by the end of 2014. And the International Trade Administration (ITA) has been working at home and abroad to make sure every U.S. business has access to the resources they need to enter and thrive in international markets. ITA’s U.S. Export Assistance Centers with 108 offices nationwide, have partnered with local communities to provide more complete and comprehensive support to businesses looking to start or expand their export markets. Mayor Gray’s ExportDC is just one of the latest cooperative efforts between federal and local governments. The Northern Virginia USEAC will collaborate with Export DC on trade missions, networking sessions and other programming that will help DC businesses find new overseas buyers. Together, ExportDC, ITA and other outstanding federal and local partners will help DC businesses sell their products and services abroad. This is important because when local businesses prosper, communities prosper. When communities prosper, cities prosper. And when cities prosper, our entire nation prospers.